If you are building a mini-ITX gaming PC or a powerful HTPC then you will need a good small form factor graphics card for it. Almost all Regular sized graphics card are too long and they cannot be made fit into most of the mini-ITX cases. For this you need a compact graphics card that has shorter length PCB and can easily fit into mini-ITX or small form factor PC case. These compact graphics cards with shorter sized PCBs are also known as small form factor graphics cards or mini graphics cards. The width of the SFF graphics card may or may not change but their length is always on the shorter side. A SFF graphics card should not have length longer than 211mm. Most of the SFF graphics cards have length shorter than 175mm. There is a major difference between low profile graphics cards and these compact or small form factor graphics cards. Low profile graphics cards are sleek i.e. they are not wide. They may be longer in length especially in case of powerful low profile graphics cards and may or may not fit in the mini-ITX cases, whereas compact or mini graphics cards are shorter in length but are as wide as the regular sized graphics cards. They can fit in the mini-ITX cases but not in the slim or low profile cases. You should also know that these compact or mini graphics cards can also fit in the mini-ATX and regular ATX cases perfectly. Here in this post I am going to list down the best SFF graphics cards for small form factor PC. These SFF GPUs are very powerful and most of them can run the latest games at medium-high or Ultra graphics settings at 1080p. Here are the best SFF video cards from Nvidia. These are high performance gaming graphics cards that can be used in mini-ITX cases. Here we have GeForce GT 740 from EVGA which is a compact graphics card and can fit in mini-ITX or mid-tower or smaller ATX cases. This is a SC or Superclocked version of the card which means it has been slightly overclocked. It comes with 2GB GGDR5 memory which is more than enough for basic & mid level gaming, HTPC and other graphics related work. GT 740 is a pretty good card for entry to mid level gaming and you can play latest games on medium settings at decent resolution and older games on high settings at 1080p. The card runs pretty silent and remains cool even during intense gaming. It requires 6-pin PCI-E power connector and includes two DVI and mini HDMI Ports for connectivity. 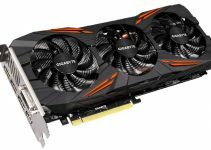 You may get this graphics card under 100 dollars and you can check it out from the link given below. GeForce GTX 750 Ti is a very popular mid-range GPU from Nvidia and is based on the Maxwell GPU architecture. 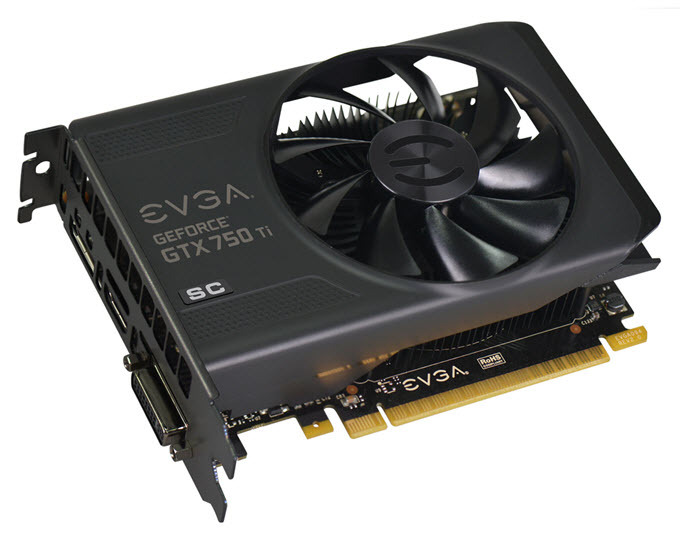 Here we have Superclocked edition of EVGA GeForce GTX 750 Ti that comes with 2GB GDDR5 memory. It is around 20% faster than GT 740 and you can play latest games on medium settings at 1080p resolution and older games at high graphics settings on 1080p. On the exterior side the card looks same as the above mentioned GT 740 with same heatsink and fan design. GTX 740 Ti comes with 640 CUDA Cores which is almost double of what present in the GT 740 GDDR5. It has dual slot design which means it occupies a bit more space in your computer case. This card comes with all the digital display ports that include DVI, HDMI and DisplayPort. You can get this powerful compact graphics card from the link given below. GeForce GT 1030 is an entry level budget graphics card in the GeForce 10 series. The card is based on the Pascal GPU architecture and comes with 384 CUDA Cores and 2GB GDDR5 memory. This card is cheap and is a great choice for users who to upgrade from integrated graphics to something powerful and affordable. This card will let you play eSports titles at good graphics settings, older games at medium to high settings and some of the latest games on low settings at 720p. It is also a very good card for 4K display and video playback. GeForce GT 1030 is more powerful than older GeForce GT 730 and GeForce GT 740 graphics cards. 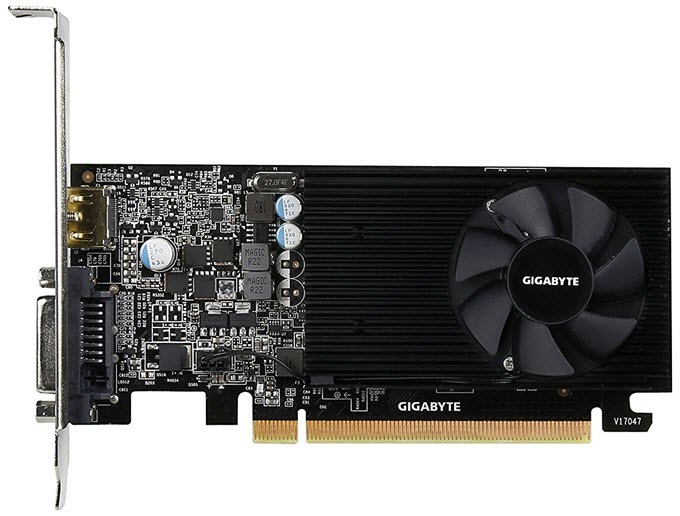 Here we have Gigabyte GeForce GT 1030 Low Profile 2G which is a low profile graphics card having small form factor (SFF). It is single slot graphics card and comes pre-overclocked for better performance. The card also has very low power consumption and it does not require external power from the PSU. You only need a 300W PSU to power this card. Connectivity options include DVI and HDMI ports. Zotac GeForce GTX 1050 Mini is powerful budget mid-range graphics card in the GeForce 10 series from Nvidia. The card is based on the Pascal GPU architecture and comes with 640 CUDA Cores and 2GB GDDR5 memory. This GTX 1050 Mini is a small form factor compact graphics card from Zotac and it can fit in almost all the SFF cases or mini-ITX cases. This SFF graphics card is only 145mm in length but it is a dual slot card. For cooling, the card comes with a single 90mm fan and an aluminum heatsink (sunflower designed heatsink). This is a non-overclocked card which means it comes with stock GPU and VRAM frequencies of a reference GTX 1050 card, but you may overclock this card a bit with the help of Zotac’s Firestorm overclocking utility. This budget mid-range graphics card packs lot of power and is considerably faster than the GTX 750 Ti card based on the Maxwell GPU architecture. On this card, you can play almost every game on medium-high settings at 1080p with comfortable frame rates. Also, this is a great card for eSports gaming. The card has very low power consumption and it does not require any external power connectors from the PSU. The recommended power supply for this card is 300W only. Connectivity options include Dual-Link DVI, HDMI and DisplayPort. GTX 1050 Ti is the latest mid-range graphics card GPU from Nvidia based on the new Pascal architecture. Here we have the EVGA GeForce GTX 1050 Ti SC GAMING which comes with 4GB GDDR5 memory. 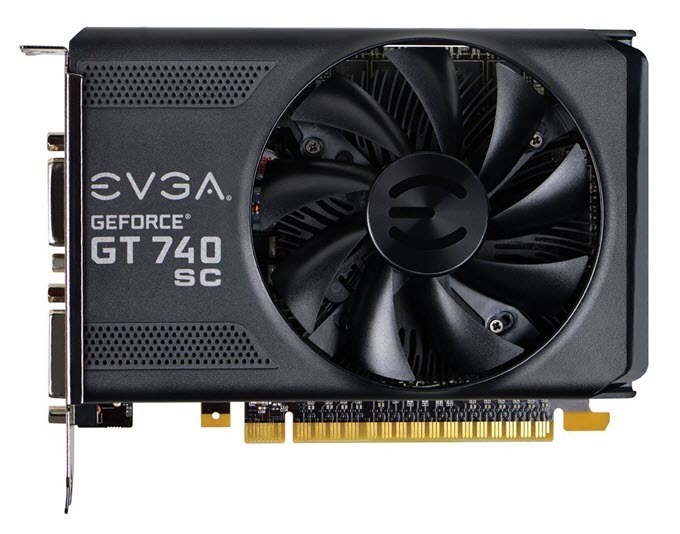 Looks of this card is identical to both EVGA GT 740 and GTX 750 Ti but not the performance. This card is much faster than the slightly older GTX 750 Ti. This is the overclocked version of GTX 1050Ti and on this you can play latest games like Doom, GTA 5, Fallout 4, Civilization 6 etc. on high settings at 1080p with around 50 – 60 FPS. This powerful compact graphics card has lower power consumption and does not need external power from the PSU. At rear you will get DVI, HDMI and DisplayPort as display connectivity options. P.S. – Another very good compact GTX 1050 Ti card is Zotac GeForce GTX 1050 Ti Mini. This is a higher midrange graphics card from Nvidia. Here we have the compact or mini version of GTX 1060 from Zotac which comes with 3GB GDDR5 VRAM. It is a powerful graphics card and you can play almost all the latest and demanding games like Overwatch, Doom, Assassins Creed Unity on high graphics settings on 1080p at 60 FPS or more. This card is not overlocked and comes with the stock frequencies as with the reference GTX 1060. The card is compact in size and resembles very much like the EVGA cards mentioned above. The 3GB version of GeForce GTX 1060 comes with 1152 CUDA Cores whereas the 6GB one comes with 1280 CUDA Cores. There is a slight difference in the performance but it is not much to complain. Zotac GeForce GTX 1060 Mini remains pretty cool even during intense or heavy gaming. You can get this amazing graphics card under 300 dollars if the GPU market conditions are normal. Connectivity options include three DisplayPort and one HDMI port. 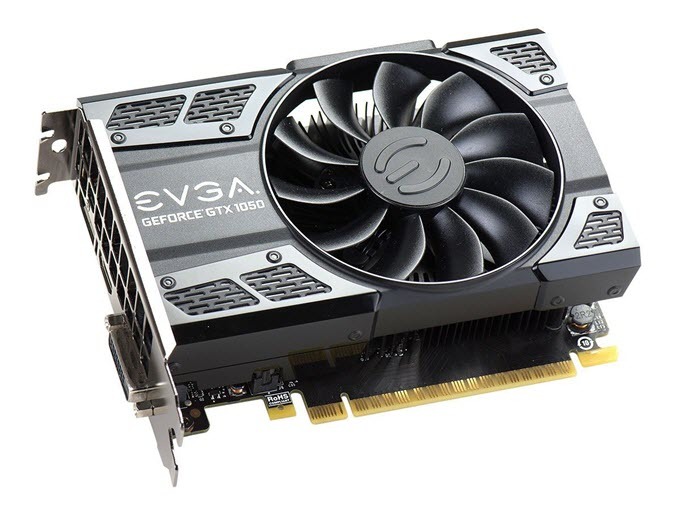 You can also check out and buy the compact version of EVGA GeForce GTX 1060 3GB GDDR5 below. GeForce GTX 1070 is one of the most powerful graphics cards you can get for your small form factor gaming PC. GTX 1070 is a high-end graphics card and is one of the most powerful gaming graphics cards around. Here we have Gigabyte GeForce GTX 1070 Mini ITX OC graphics card that comes with 8GB GDDR5 memory. It is overclocked version of GTX 1070 which means it has higher GPU and memory clock frequencies. The card is based on the latest Pascal GPU architecture and can run all the latest games on high or ultra settings at 1080p and 1440p. It is also powerful enough to run latest games at 4K but with some toned down graphics settings. This card is around 50% more powerful than the above mentioned GTX 1060. This powerful compact graphics card can fit in your mini-ITX case without any issues. The cooler with single fan and big heatsink does a very good job in keeping the card temperature in check and prevents it from overheating. The card requires an 8 pin PCI-E power connector for its working. Connectivity options include two DVI, HDMI and DisplayPort. So if you are looking for the most powerful mini or compact graphics card for your mini-ITX gaming PC then you must go for it. 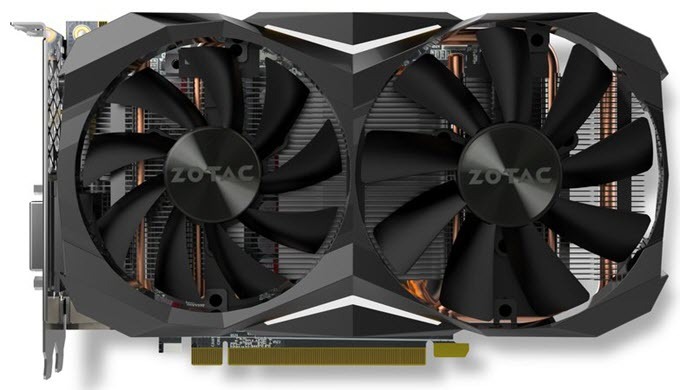 ZOTAC GeForce GTX 1070 Ti Mini is the smallest GeForce GTX 1070 Ti graphics card in the market. GeForce GTX 1070 Ti is the latest graphics card from Nvidia in the GeForce 10 series lineup which is based on the Pascal GPU architecture. The card comes with 2432 CUDA Cores and 8GB GDDR5 VRAM having memory interface of 256-bit. The card is capable of running all the latest games on ultra / very high graphics settings at 1440p and 4K resolutions. This card is more powerful than GTX 1070 and has its performance very close to GTX 1080. ZOTAC GeForce GTX 1070 Ti Mini has card length of only 211mm and it can fit in most of the mini-ITX and micro-ATX small form factor PC cases. For cooling, the card comes with dual fans (90mm & 100mm) and heatsink with copper heatpipes. The card also features a metal backplate, LED light and can be connected in SLI. 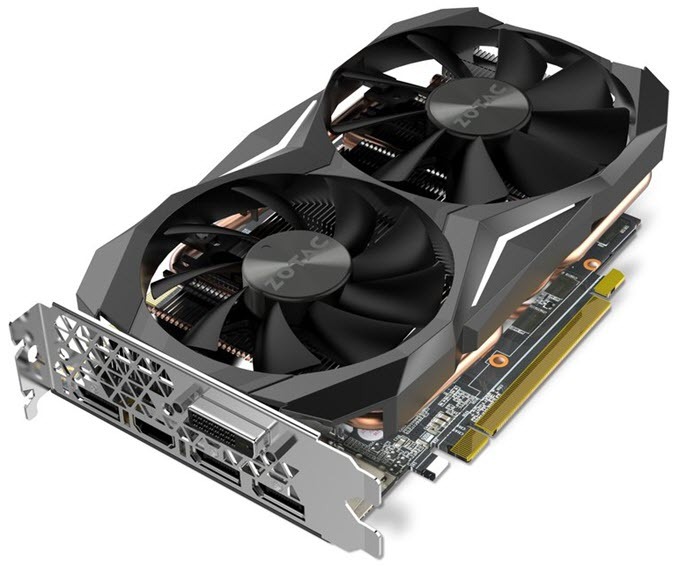 This mini GTX 1070 Ti graphics card from Zotac requires a 8-pin PCIe power connector and a 500 PSU for its working. At rear you will get three DisplayPort, one HDMI and one DVI port. GeForce GTX 1080 is a high-end graphics card from Nvidia and is one of the most powerful graphics cards in the world. It is based on the latest Pascal GPU architecture and comes with 2560 CUDA Cores and 8GB GDDR5X memory. It is a VR ready card and offers best Virtual Reality performance. On this graphics card you can play latest & modern games on Ultra graphics settings at 1440p and 4K resolution. For 4K gaming, you may have to lower down some graphics settings depending on the game. GeForce GTX 1080 supports SLI which means you can use it in multi-GPU setup for doubling your performance in games as well as in other high-end graphics applications. Here we have a compact and SFF GeForce GTX 1080 graphics card which is ZOTAC GeForce GTX 1080 Mini. The card is only 211mm length which means it can fit most of the mini-ITX and SFF cases. It is the world’s smallest GTX 1080 card. For cooling it comes with dual fans and a heatsink with copper heatpipes for better dissipation of heat. Zotac calls it ICESTORM cooling system and the card has got dual slot design. This card comes slightly pre-overclocked for better performance. The card requires one 8-pin PCI-E power connector and a 500W PSU for its working. Connectivity options include three DisplayPorts, one HDMI and one DVI port. Other features include LED light and metal backplate. So if you are looking for a powerful high-end graphics card for your SFF gaming build then this one is what you should buy. Gigabyte GeForce GTX 1080 Mini ITX 8G is the most compact GTX 1080 card that you ever find. It is even smaller than the above mentioned ZOTAC GeForce GTX 1080 Mini. The card is only 169mm (17cm) in length and can easily fit in smallest of mini-ITX cases or small form factor PC cases. For cooling, it has got a single 90mm fan and heatsink with copper heatpipes for better dissipation and transfer of heat. This is a dual slot card which means it will consume two slots in your computer case. The card comes slightly overclocked which can give you a bit of performance boost in games. Just like other GTX 1080 cards, this one is also built on the Pascal architecture and comes with 2560 CUDA Cores and 8GB GDDR5X memory with 256-bit interface. The card requires one 8-pin PCI-E power connector and a 500W PSU for its working. It also supports 2-way SLI using HB bridge. Display connectivity options for this card include DVI, HDMI and three DisplayPort. So, if you are looking to build a high-end compact gaming PC for 1440p or 4K gaming and want the smallest powerful graphics card then this is the one to go for. GeForce GTX 1080 Ti is the Nvidia’s flagship graphics card and is the most powerful graphics card for gaming. It is around 35% faster than the mighty GeForce GTX 1080 which depicts the huge amount of power it possesses. GeForce GTX 1080 Ti is based on the Pascal GPU architecture and comes with 3584 CUDA Cores and 11GB GDDR5X memory. This VR Ready card offers amazing Virtual Reality performance both in VR games and applications. It can run all the latest AAA games on maximum graphics settings at 4K. The card support SLI and you can use two of them in multi-GPU configuration for killer performance in games at highest available settings. Here we have ZOTAC GeForce GTX 1080 Ti Mini which is a SFF or compact GeForce GTX 1080 Ti graphics card. The card is only 211mm long and can fit in 99% SFF or compact PC cases. For cooling it comes with dual fans (90mm+100mm) and IceStrom cooling solution having aluminum heatsink with copper heatpipes. This is an OC version which means it offers slightly better performance than reference GTX 1080 Ti with stock frequencies. The card has maximum power consumption of 250W and requires two 8-pin PCI Express power connectors from the PSU. This card needs a 600W or higher power supply for its working. 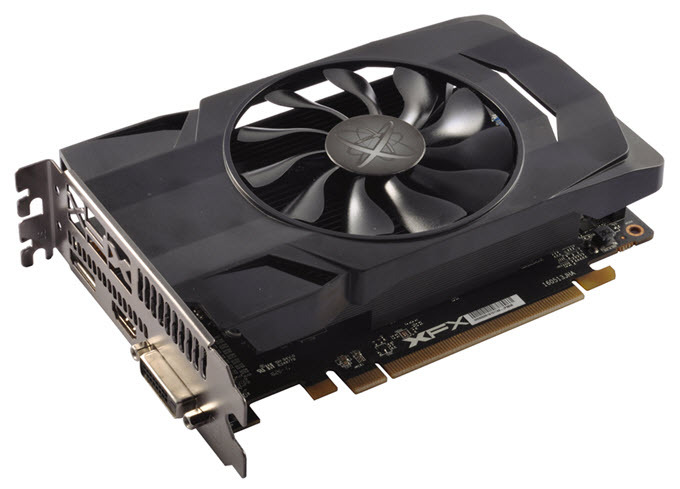 Other features of this top-end graphics card include LED lighting and a solid metal blackplate to give card extra rigidity. Connectivity options include three DisplayPort, one HDMI and one DVI port. So if you are looking for the most powerful compact graphics card for your SFF 4K gaming PC then you won’t find anything better than this. 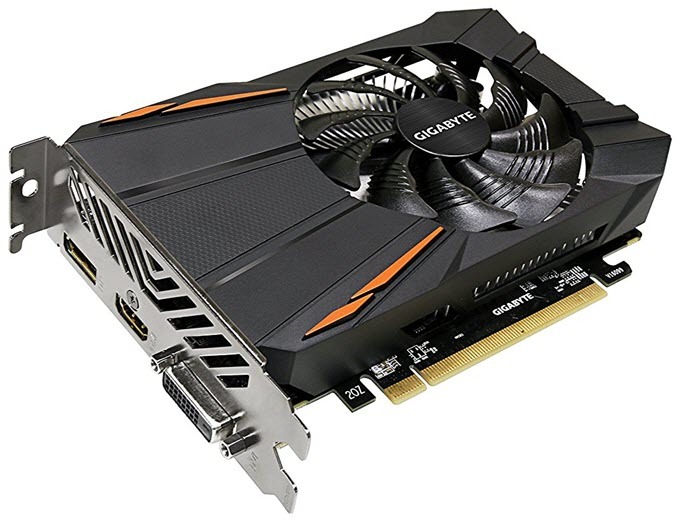 Gigabyte GeForce RTX 2060 MINI ITX OC 6G is a compact RTX 2060 card that is only 170mm in length. This is the smallest RTX 2060 card that you can find, and it can fit in almost all the mini-ITX and small form factor cases excluding the low profile ones. It comes with 1920 CUDA Cores, 240 Tensor Cores for AI / Deep Learning stuff, 30 RT Cores for Real Time Ray Tracing and super-fast 6GB GDDR6 memory having 192-bit interface. It is a slightly overclocked card with GPU Boost frequency of 1695 MHz, and for cooling it employs a compact heatsink with copper heatpipes and a single 90mm 3D Active fan (with unique blade design). It uses semi-passive cooling technology, which means under low loads the fan does not spin, making the card completely silent in operation, and during gaming or heavy loads, it starts automatically to keep the card cool. RTX 2060 is built on the Turing GPU architecture and is the cheapest Ray Tracing graphics card. You can play all of your latest AAA games on highest graphics settings at 1440p, but for 4K you have to compromise on some of the in-game graphics settings. The card uses 4+2 power phase design for providing rock solid stability during overclocking and at high loads. It requires an 8-pin PCI-Express power connector and a 500W PSU for its working. It does lack USB Type-C connector for VirtualLink but is a VR ready card. Display connectivity options at the rear include three DisplayPort and one HDMI port. You can use the Gigabyte AORUS Engine utility or overclock and customize other settings of the card. 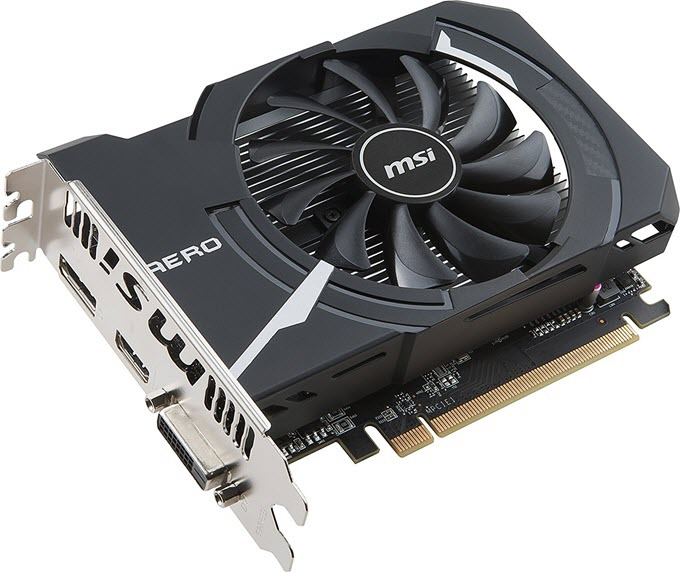 Note: Another very good compact RTX 2060 card is MSI GeForce RTX 2060 AERO ITX 6G OC that is only 175mm in length. GeForce RTX 2070 is powerful RTX 20 series graphics card based on the Turing GPU architecture. It comes with 2304 CUDA Cores and 8GB GDDR6 memory having 256-bit interface.In addition to CUDA Cores, it comes with RT Cores for Real Time Ray Tracing and Tensor Cores for AI and Deep Learning / DLSS. The card is powerful enough to play latest games on maximum graphics settings at 1440p and on a bit reduce settings at 4K. Here we have a compact RTX 2070 card which is ZOTAC GAMING GeForce RTX 2070 Mini .This small form factor RTX 2070 card is 211 mm in length and can fit in most of the SFF and mini-ITX cases. It is a dual slot RTX 2070 card which means it will consume two slots on your motherboard and computer case. For cooling, the card comes with a compact heatsink with copper heat pipes and dual fans in which one is 90mm size and other one is 100mm. 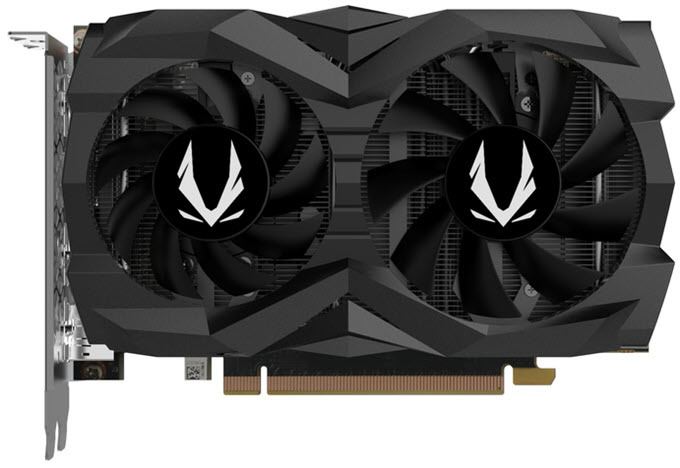 The card includes a metal backplate for strength and rigidity, and features Active Fan Control to automatically adjust the fan speeds based on workload by keeping the card silent and cool. This is a non-OC card and comes with reference RTX 2070 clock speeds of 1410 / 1620 MHz (Base/Boost), but you can overclock it to higher frequencies by using a good overclocking software. The card has power consumption of 175W and requires a single 8-pin PCI-E connector form the PSU. Display options include one HDMI port and a USB Type-C connector. There is also a Overclocked (OC) model available of this card that has GPU Boost Clock of 1650 MHz while all other things remains the same. 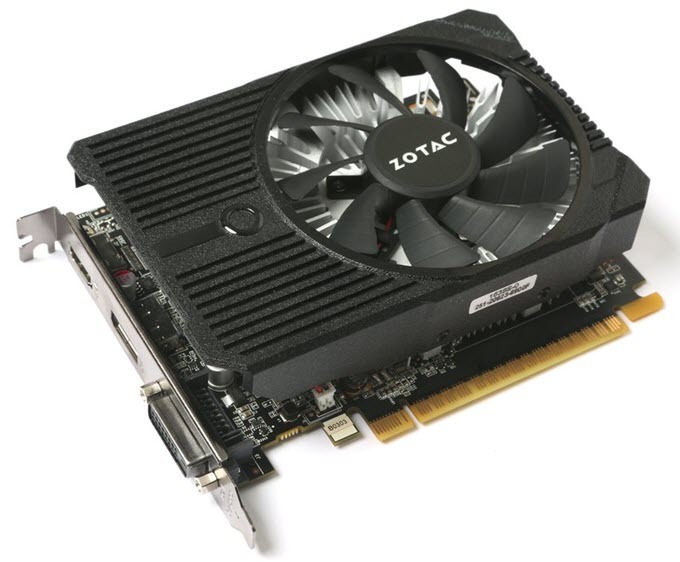 ZOTAC GAMING GeForce GTX 1660 Ti 6GB GDDR6 is one of the best compact GTX 1660 Ti cards that you can get for your small form factor gaming build. This a dual slot card and is only 173.4mm in length, which makes it suitable to fit in almost any mini-ITX and SFF cases (except low profile cases). The card is built on the Turing GPU architecture and comes with 1536 CUDA Cores and 6GB GDDR6 memory (192-bit). It is a VR ready card and support features such as Nvidia G-Sync / Free-Sync, GPU Boost, Nvidia Ansel and latest APIs including DirectX12, OpenGL 4.5, Vulkan and OpenCL. The card is approximately 42% powerful than GTX 1060 6GB, and offers GTX 1070 level performance or even better in some cases. On this card, you can play all your modern day AAA titles on ultra settings at 1080p / 1440p with comfortable frame rates (60+ FPS on average). This card runs on stock frequencies, but you can easily overclock it to get most performance out of it. For cooling, the card comes with dual offset fans with a heatsink with copper heatpipes. Here one fan is smaller than the other, and this setup is used for providing more optimized Static Pressure and Airflow. The card does require one 8-pin PCIe and needs a good 450W PSU for its proper working. For display, connectivity options at the rear include three DisplayPort and one HDMI port. Highly Recommended by me. 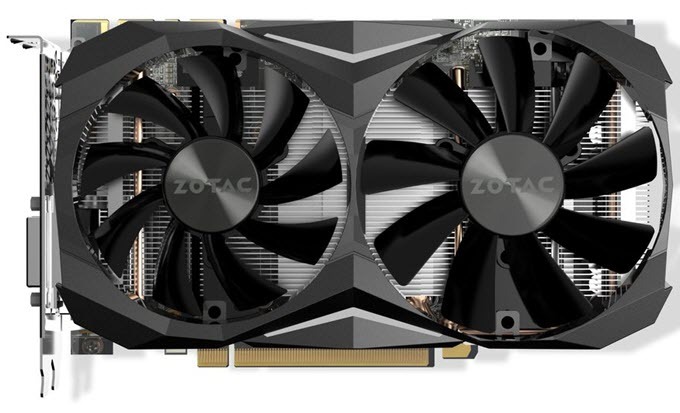 ZOTAC GAMING GeForce GTX 1660 is a super compact GTX 1660 card with length of 173.4mm. This card can fit most of the mini-ITX cases and small form factor cases (except slim or low-profile cases). For cooling, the card comes with a compact heatsink with copper heatpipes, and Dual Offset Fans, where one fan is smaller is size with curved fan blades for providing high static pressure, while other one is bigger with wide fan blades for delivering high airflow. This setup of fans provides slightly better cooling performance. It is built on the Turing GPU architecture, and comes with 1408 CUDA Cores and 6GB GDDR5 memory with 192-bit interface. It is around 12% – 15% slower than the GTX 1660 Ti, but is ~60 dollars cheaper too. 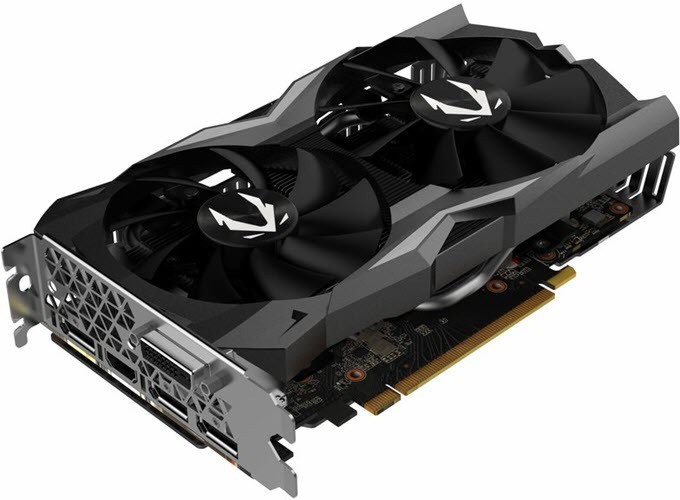 This compact GTX 1660 card runs at reference or stock frequencies, which is 1530 / 1785 MHz for Base / Boost, but you can overclock this card comfortably using Zotac FireStorm or other good overclocking software. The power consumption of the card is 120W, and it requires one 8-pin PCIe connector and 450W power supply for its working. At the rear, you will get three DisplayPort and one HDMI port for display connectivity. Note: GTX 750 Ti, GTX 1050 Ti, GTX 1060, GTX 1070, GTX 1080, GTX 1080 Ti, GTX 1660 Ti, GTX 1660, RTX 2060, RTX 2070 supports Nvidia G-Sync. Here are the best SFF graphics cards from AMD. These graphics cards can fit in smallest of cases including mini-ITX cases. Radeon R7 360 is a midrange graphics card from AMD and its performance is comparable to that of GTX 750 Ti from Nvidia. Here we have compact Gigabyte Radeon R7 360 OC graphics card that comes with 2GB GDDR5 memory. This is a good midrange graphics card and on this you can play most of the games at medium settings on 1080p with comfortable frame rates. This card supports FreeSync and almost all the popular APIs that includes DirectX 12, OpenGL 4.5, Vulkan, Mantle and OpenCL 2.0. The card requires a 6-pin PCI-e power connector and requires a 500W PSU for its working. It inlcude two DVI, one HDMI and one DisplayPort at back. Overall a good compact AMD graphics card for your mini-ITX case. Radeon RX 460 is a powerful budget mid-range graphics card from AMD. It is based on the Polaris GPU architecture and comes with 896 Stream processors. The performance of Radeon RX 460 is equal to or better than GeForce GTX 1050 from Nvidia. Here we have XFX Radeon RX 460 SFF graphics card which comes with 2GB GDDR5 memory. This is a compact sized card that can fit in any mini-ITX case. It has got dual slot design and a single fan. This is one of the cheapest mid-range graphics cards that you can get for your budget gaming PC. On this card you can play latest games on high settings at 1080p resolution, and older games on very high settings. Display connectivity options include DVI, HDMI and DisplayPort. So if you want a powerful AMD graphics card for your mini-ITX build then you won’t find anything better than this. Highly Recommended by me. Here we have Gigabyte Radeon RX 550 D5 2G which is entry-level or budget graphics card based on the Polaris GPU architecture from AMD. Radeon RX 550 is the youngest member of the in the Radeon RX 500 graphics card series and is a great card for eSports gaming, running multiple 4K displays and for playing older and mid-level games on medium graphics settings. You can also play latest games on this card but on low graphics settings at 720 resolution. 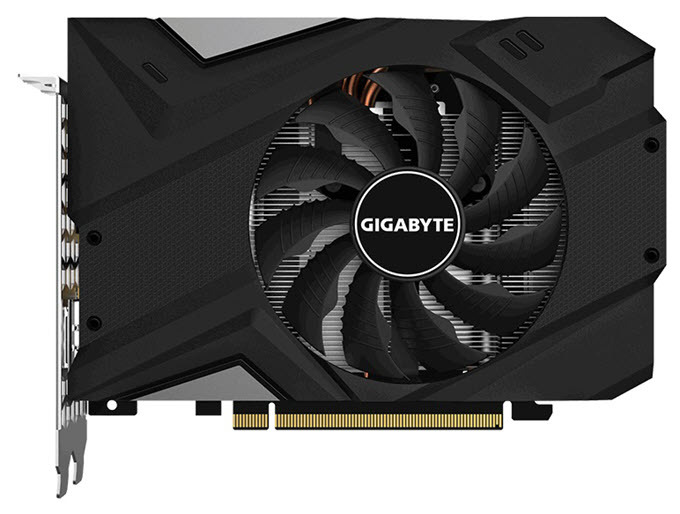 This Radeon RX 550 graphics card from Gigabyte comes with a 90mm fan for cooling and has got dual slot design. This is an Overclocked (OC) version of Radeon RX 550 and it supports HDMI 4K@60Hz and DP 8K@60Hz. It has very low power consumption and it does not require external power from the PSU. Connectivity options include DVI, HDMI and DisplayPort. It only needs a 400W power supply for its working. Radeon RX 560 is a budget mid-range graphics card in the latest Radeon RX 500 graphics card series. It is the successor of Radeon RX 460 graphics card and has noticeably better performance over it. Radeon RX 560 is also based on the Polaris GPU architecture and comes with 1024 Stream Processors which is 128 SP more than present in the older Radeon RX 460 graphics card. Radeon RX 560 is capable of running latest games on medium-high settings on 1080p resolution. 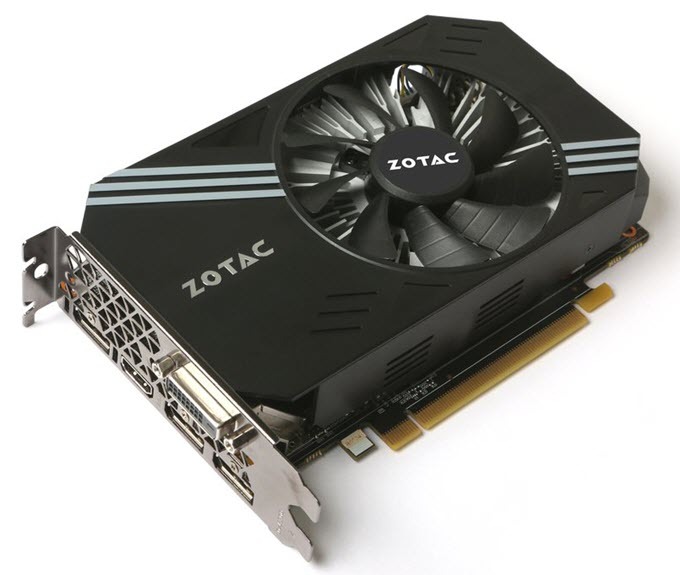 Also this is a great card for eSports gaming and running mid-level and older games on highest graphics settings. Here we have MSI Radeon RX 560 AERO ITX 4G OC which is a compact Radeon RX 560 graphics card and comes with 4GB GDDR5 memory. This dual slot graphics card is very compact in size and can fit in any mini-ITX or mini-tower cases. This is an OC or Overclocked version which means it delivers slightly better performance than the reference Radeon RX 560 graphics card. 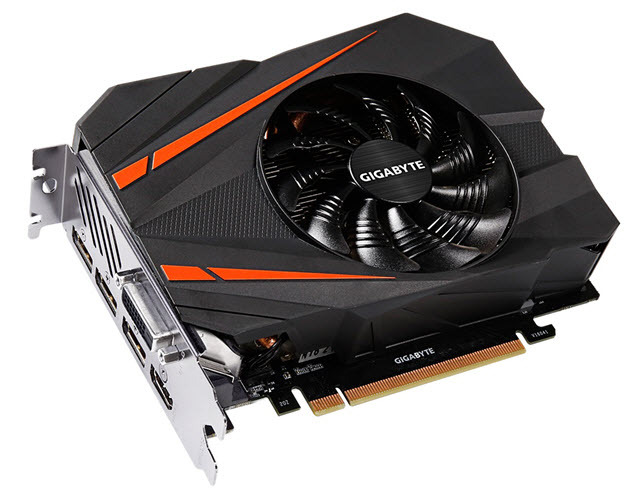 Major features of this card include CrossFire multi-GPU support, AMD Eyefinity, AMD FreeSync and high-end Military Class 4 components for longer life and stability. This compact graphics card has lower power consumption and it does not require external power connectors from the PSU, and it needs only a decent 400W power supply for its working. You will get DVI, HDMI and DisplayPort as display connectors. 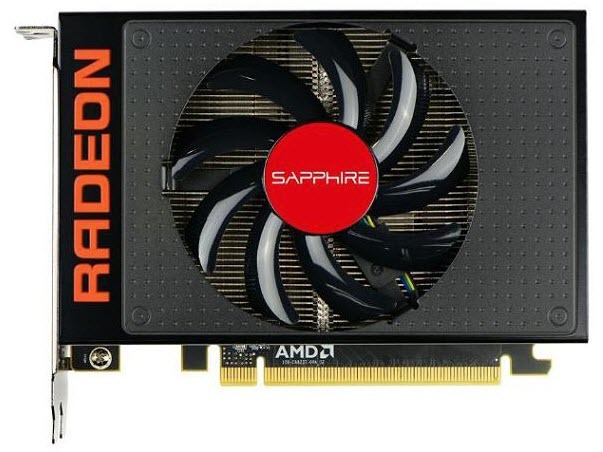 Radeon R9 Nano is the most powerful small form factor (SFF) graphics card from AMD in this list. The card is based on the Fiji GPU and comes with 4096 Stream Processors and 4GB HBM memory having 4096-bit interface. This is a powerful mini-ITX graphics card that packs a lot of power. The performance of this card can be compared to the newer AMD Radeon RX 580 and GeForce GTX 1060 from Nvidia. This is a VR Ready card and can run latest AAA games on very high graphics settings at 1440p or even at 4K (with some graphics options turned off or lowered). It supports DirectX 12, OpenGL 4.5 and Vulkan APIs for gaming. Other features include AMD CrossFire support, FreeSync, AMD PowerTune, AMD ZeroCore Power Technology, AMD Eyefinity, Quad HD Display (4K*2K Support), AMD HD3D Technology, AMD Liquid VR Technology, AMD Virtual Super Resolution(VSR), AMD TrueAudio Technology, Universal Video Decoder (UVD) and Shader Model 5.0. This is dual slot card which is only 158mm in length and can fit in almost all the mini-ITX cases. For cooling, it comes with a single fan and an aluminum heatsink. 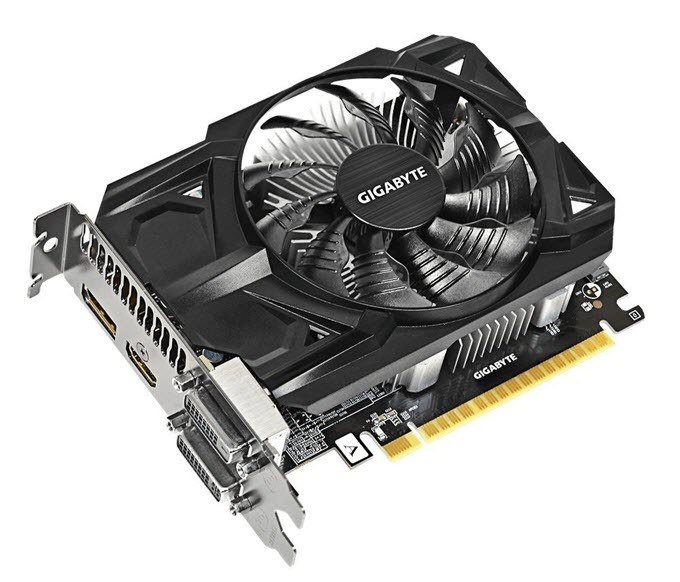 This compact graphics card requires one 8-pin PCI-Express power connector from the PSU and has maximum power consumption less than 175W. Connectivity options include one HDMI and three DisplayPort. At the end I would like to say that if you are looking for powerful compact and small form factor (SFF) graphics cards for mini-ITX cases then these are best you can find. Nvidia certainly has edge over here because it has a wider range of mini graphics cards as compared to AMD. If you are still unsure about which mini sized graphics card to get then you can ask me by leaving a comment below. I just want to thank you for this article. If it wasn’t for this I wouldn’t have found out that there was a sff GeForce GTX 1070. I decided on that model but the full size version would not have fit in my mini itx case and I was going to modify the hard drive cage for it to fit. After reading this and seeing the smaller version its not even a question to buy the smaller one. Thanks again for your reviews. Thanks very much for the very informative article. I have a SFF case (HP) and am looking for an inexpensive graphics card for it. 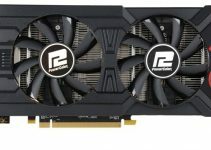 I can find the definition of “low profile graphics card” in terms of dimensions, but I cannot find the same for a SFF graphics card. Can you help with this? A SFF graphics card has shorter length up to 210mm maximum. A 174mm long graphics card can fit 99% of the PC cases available in the market. A low profile graphics card can also have small form factor if it is shorter in length. , thanks for all your great articles. I would like to ask a question similar to one I asked before about the Alienware Graphics Amplifier. You had recommended the Zotac GTX 1080 Ti mini. It costs about $800 now on Amazon. I called Alienware. They recommended the nVidia founders edition- only. costs now $1200 on Amazon and hard to get- not always available. they also said don’t get an overclocked gpu. the Zotac is slightly overclocked. my son has a two year old Alienware x51 R3 desktop small form computer. has 16 GB of 2133 memory. it has Intel i7-6700K- Overclocked to 4.4, 256 M.2 /NVme with 2 TB HD. it has the nVidia GTX 960 with 2 GB GDDR5. i’m not sure what motherboard is inside. I have seen overclocked cards work on it without any issues. They might be insisting on FE card because they want to play safe. I think Zotac GTX 1080 Ti mini should work without any issues, but if you are slightly worried then getting a FE card would be a good idea. Thanks so much for the reply. I’ll have to make a decision soon. the price is a factor, but more importantly I will be out of the country and trying to return an item more than 30 days after purchase can be tough. Thanks again. I think they will be out this year only but no info on the exact dates. Keep visiting this blog for latest info on graphics cards and feel free to ask your queries anytime. Great article btw. I’m using the r7 360 on my mini-itx machine and it has been few years since i bought it. Kinda think i should update my gpu if i wanna play the latest title but i have a budget of usd 400 only . Which one should go for? I suggest you to go for ZOTAC GeForce GTX 1060 Mini 3GB / 6GB. Thanks for pointing out. I will include it in this list. I am trying to build my first own pc and i am looking to use a inwin Chopin case. does any of these cards fit in there? Sorry this case lacks graphics card support which means you cannot fit any graphics card in it. Hi- I have a very tight space in a Dell OptiPlex 3020 slim tower. I am using a LP VTek HD7750 which is a great card. Just wondering if you can suggest anything worth upgrading to that will fit. Thanks. I would suggest Gigabyte GeForce GT 1030 Low Profile 2G. You can check out this card at https://graphicscardhub.com/best-geforce-gt-1030/. Do not ever go for the DDR4 variant of GT 1030 as it has much lower performance. Always get the GDDR5 version. I am only looking for light gaming (Overwatch/Minecraft), what graphics card would you recommend (cheapest that can run both games at 720p 60fps, 1080p would be a bonus)? I suggest you to get GeForce GT 1030 with GDDR5 VRAM. You can play both these games comfortably at 1080p with 60 FPS or more at medium graphics settings. 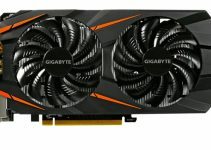 Here are some good ones https://graphicscardhub.com/best-geforce-gt-1030/. P.S. – Do not buy the DDR4 variant of GT 1030 as its performance is crap. Would it fit in a Dell Compaq 8200 Elite? Is this the Ultra Slim model? Can you provide me the link? Okay then it has low-profile PCIe x16 slot which means a low profile card fit. I suggest you to get anyone of these; Gigabyte GeForce GT 1030 Low Profile 2G or MSI GeForce GT 1030 2G LP OC or MSI GeForce GT 1030 2GH LP O or ZOTAC GeForce GT 1030 2GB GDDR5. Would this fit and run well? Yes it will fit and work. Not sure if I posted this link last time. This ZOTAC card would fit right ? Yes i have received the link before too but i have to delete it for security reasons. And the answer is Yes the card will fit and work with your SFF PC. Which would be the best option to put with an athlon 200ge, mini itx and the case is 9x9x4? Can you please list your case model.